Coconut Oil - What does it do for you? I found this great hair conditioner treatment online....it is amazing how great your hair feels after the treatment. Give it a try! Blend until smooth - then apply to hair from roots to ends. Put on a shower cap and wait 15 minutes. Then shampoo and condition. Love this post! I have a huge tub of it around here. Cold pressed and unrefined. I use it to put on my son's eczema...or to dilute oils...and chap-stick even! That is a great one for conditioning. Love Coconut oil for so many things. I use coconut oil all the time! It is so very good for you! Thanks for this info! I was just trying to figure out how to add coconut oil to my diet. I use it as diaper cream for my daughter, since we use cloth diapers, but wasn't sure about using it in diet. I know people who swear by using it but I've never tried it (other than cooking with it). I might have to try some of the uses you suggest. I haven't used coconut oil yet, but I've heard so many good things about it that I will have to pick some up. I'll have to try using this! This sounds wonderful, and I'll bet it smells great, too! I love my coconut oil!! Just make sure that if you use it in your hair and then rinse in the shower that you rinse your shower well! I almost killed my hubby - the shower was so slick after I had rinsed my hair and I didn't know it! Thank goodness he didn't fall!! 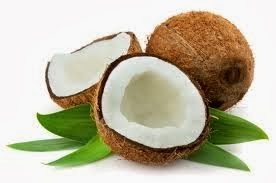 I recently discovered the many benefits of coconut. it can also help with memory loss in some patients. What a wonderful product! I have some coconut oil, but have only used it for cooking. I think I will have to try some of these ideas. We love coconut oil. Know what else its great for that we found out this week? Lice removal! Ewww I know, but it worked! LOVE coconut oil, I used it to clear up my babies cradle cap! I really have to try coconut oil. It sounds amazing! We use coconut oil for everything! I probably have 6 jars of it throughout the house at any moment. It's magical. I love coconut oil. I grew up originally in the Caribbean where coconut oil is a staple there. It's pretty good for a lot of things. Will have to try out that hair conditioner. I was just reading about the benefits of coconut oil the other day. It's a super food! I love coconut oil, it has several great benefits! They look so beautiful on you! Very informative post thanks for share this with us i highly appreciate you for this information thanks once again for sharing information like this!